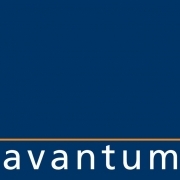 avantum consult is a specialist for Corporate Performance Management and Business Intelligence. We offer our customers a wide range of services, from business consulting (e.g. the development of business concepts for business analytics, predictive analytics, planning, management reporting, process improvement and transformation – especially in times of digitalization) to technical implementation. This combination of business and technological competence gives avantum consult the edge over other consulting firms. We form long-standing relationships to clients from the upper midsized market and to large corporations that are based on trust. With more than 1000 national and international consulting projects and more than 100 salaried employees, avantum consult is one of the leading service providers in this market. With each of our projects, we help boost corporate success in a targeted manner. We rely on a comprehensive and time-tested project and change management approach for a variety of projects. We allow our clients to securely achieve their objectives with creative, innovative solutions, independent consultants and an integrated value chain. Project complexity is significantly reduced through close and cooperative collaboration, which simultaneously allows intensive exchange. When a project ends, you are guaranteed to be in the position of operating your systems independently, in line with your specific requirements. From brandeins avantum got the award as best consulting firm 2016.
avantum is Advisory Board Member since 2015.